LIATI believes that all organizations are best served by managing to a set of enduring principles that govern its behavior today and in the future. LIATI’s professionals have been working with a major aerospace company to bring 3000 high wage jobs to a small community in the Northeast. The project involves making use of proprietary technology that makes the labor force more efficient and increases capacity for North American airline operators to receive high-quality maintenance service at competitive prices in the US. LIATI’s professionals have been working with the Standing Rock Sioux Tribe to enable them to develop their abundant renewable energy resources through an innovative approach that involves the creation of a public power authority to facilitate the development of competitively priced renewable energy where the Tribe will have significant and enduring ownership. This is a “first of its kind” project for Native American Tribes that can be adapted for Tribes across the US and Canada. LIATI believes that its success is defined by serving the best interests of its clients, and its commitment to honesty, transparency and fair dealing in its pursuit of that objective. The firm is "relationship" oriented and emphasizes long-term relationships with clients, strategic partners and vendors. Finally, LIATI strives to be a good corporate citizen and seeks to constructively encourage this behavior in the organizations with which it associates. LIATI has a special interest in working with organizations and individuals that have products, projects or services that help address chronic inadequacies or needs, or that improve the overall efficiency of the use of natural resources. LIATI believes that its success is defined by serving the best interests of its clients, and its commitment to honesty, transparency and fair dealing in its pursuit of that objective. The firm is "relationship" oriented and seeks long term relationships with clients, strategic partners and vendors. LIATI Capital LLC is a FINRA www.finra.org and SIPC www.sipc.org registered broker/dealer and is the vehicle through which LIATI executes capital fundraising activities. 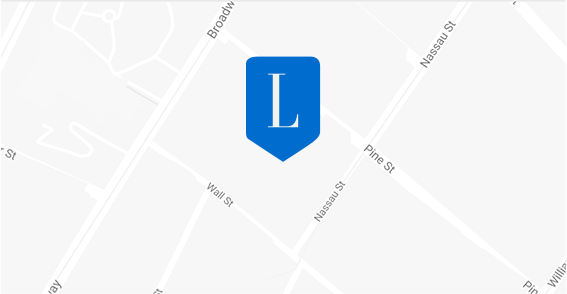 LIATI Capital, LLC is licensed to execute private placements of equity, debt and project financings that vary in size for a few million to $1 billion or more. These can be single transactions or complex fundraising programs involving multiple financing transactions executed over months or years, as needed.